The smoothest voice in radio hits your dial every weekday morning from 10:00am till noon. 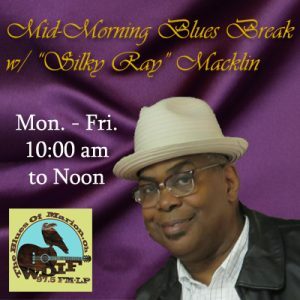 Join “Silky Ray” Macklin as he guides you through some smooth music and positive vibes. Silky Ray will be talking about the positive things in Marion, talking to local folks, and just laying it down silky. Check back here for a list of up-comping guests and events. To contact Silky Ray, e-mail him at raymacklin@frontier.com.